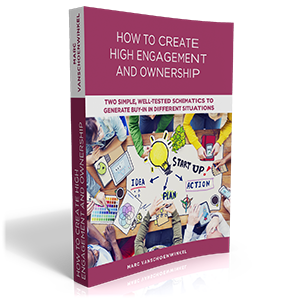 On the following pages you can find plenty of tools, how to’s, ideas and methods to become a compassionate leader who creates engagement and entrepreneurship and who leads people and teams in these rapidly changing times. Use the tabs below to consult all materials available to you. Tool cards with all kind of initiatives, practices, big and small, to shape ownership, entrepreneurship and innovation. Tool cards with all kind of possibilities, practices and tools to be an active change agent leading people through change towards success. Tool cards with different kinds of ways to influence the behavior of others. Movies on different core leadership skills. Looking for ways to bring new life and energy to your meetings? Leave egos at the door: who is going to ring the bells today? Do whatever you want with whomever you want! Using the informal circuit to launch ideas and messages or to gather information. Participative workshop to shape the HOW of the change. A participative workshop to list concerns and to find solutions for them. A big meeting (fifty to sixty people) to allow to alternate between presenting and discussing immediate topics. Inform people who will suffer a big loss due to the change on time/beforehand. Write a change plan as a key document that guides you throughout the phases. Based on the principle of action and reaction (Leary’s Rose) you find in this section all kinds of behaviour you can show or use to influence the behaviours of others. However none of these are techniques or tricks to manipulate people but they are conscious ways of communicating relevant for different moment in a meeting or conversation. 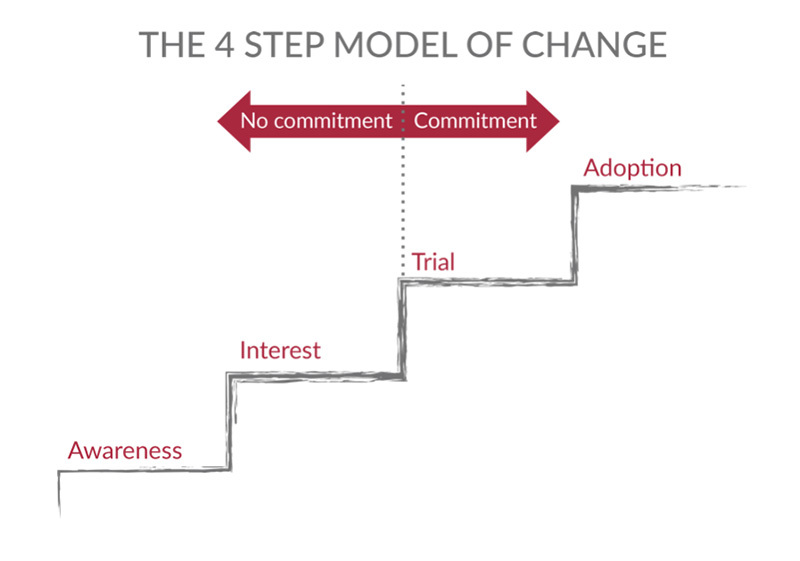 How to guide people through change? By making this trip you learn how to guide people through a major change. How to create engaging companies? Inspirational movie on companies that create loads of ownership and engagement. 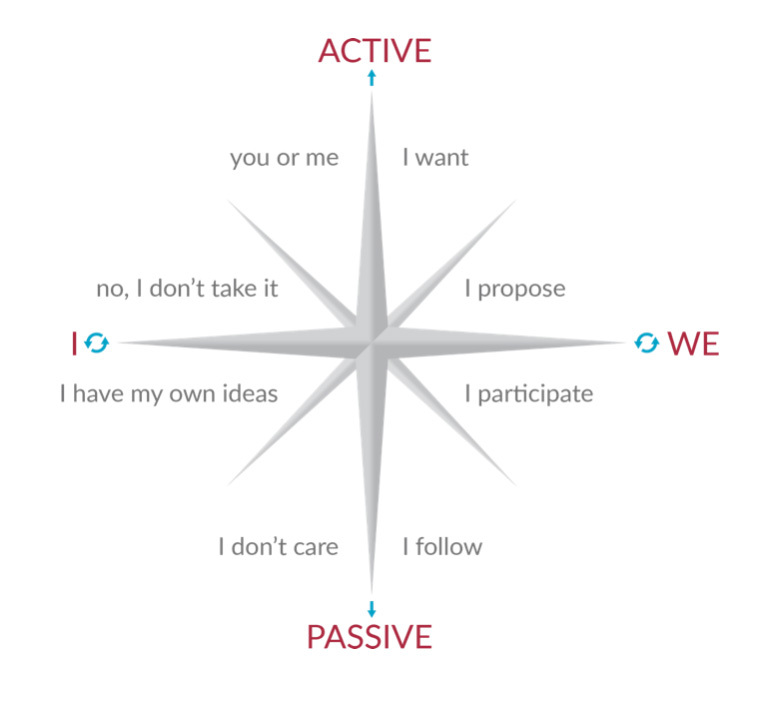 How to define an engaging goal? 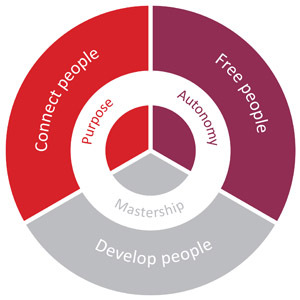 How to be a leader that creates ownership and engagement?